This is our collection of type "F" splitters and taps commonly used for CATV & FM stereo installations. Taps have a straight through port and taps at the rated dB. Splitter ports are all attenuated. 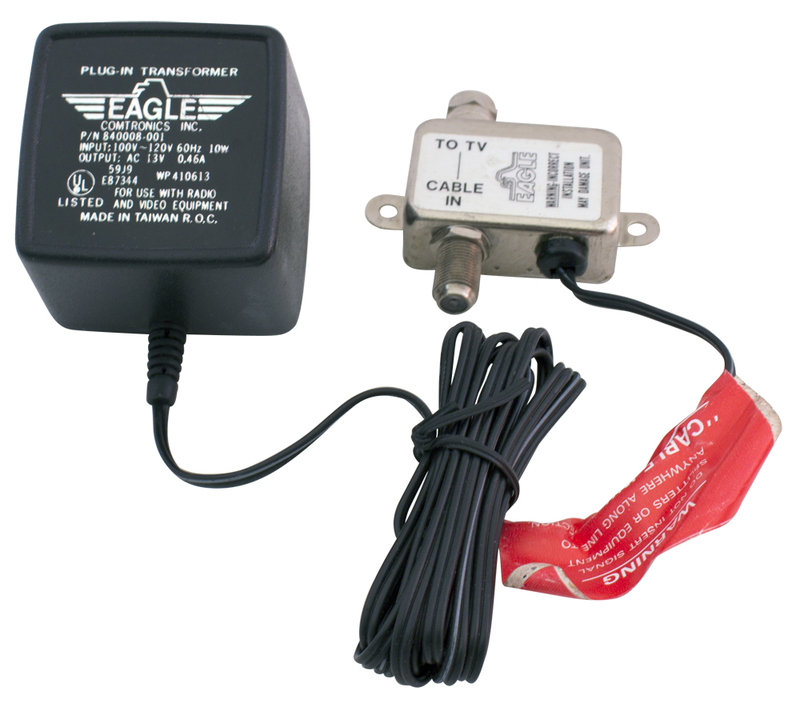 Eagle CATV amplifier. "F" connector IN/OUT. 4' cord. 4 way power splitter. 5 - 250 MHz. "F" female connectors. JL 6 way splitter. 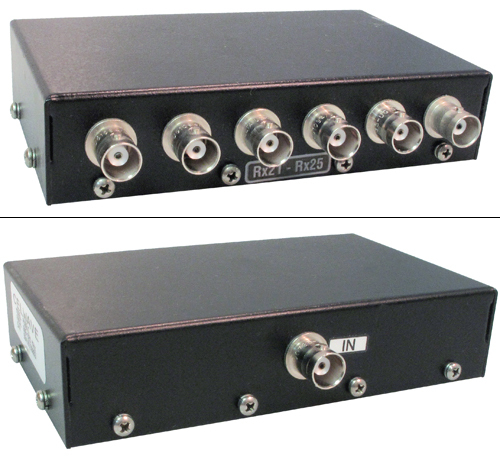 Marked 806 - 825 MHz or 800 - 960 MHz @ factory. 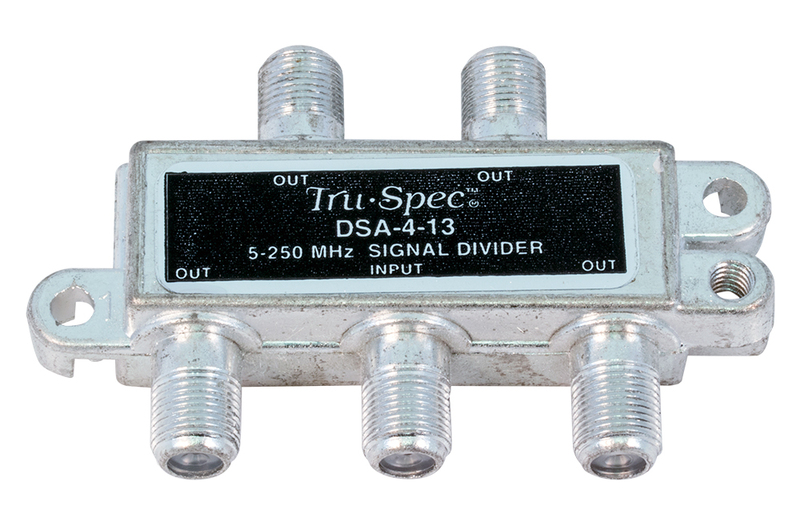 We have swept with network analyzer and units are guaranteed useful DC-6 GHz. Used, removed. 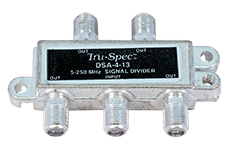 2 way splitter, 100 dB RFI shield. 5-600MHz. 3.5 dB / tap. "F" connectors. You may have received these little baluns packaged with appliances in the past. Now you need it and where is it? I have it. A slide on "F" connector convertors to 300 ohm twin lead. 75 ohm cable TV "Equalizer" is made to hang on the phone pole support wire. It has one 75 ohm input and 3 outputs, 2 down 6.5 dB, 1 - down 3 dB, a 12 amp cable power bypass circuit, a weather tight 5" x 5-1/2" aluminum box. An unusual adapter, mini plug to 300 ohm twin lead. Where are these when you need it?